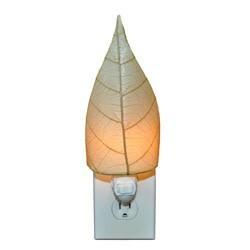 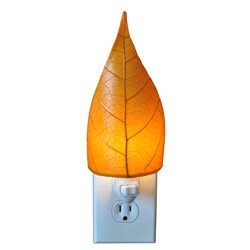 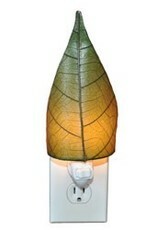 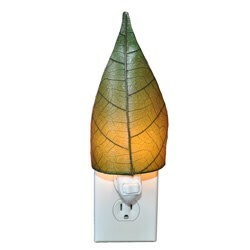 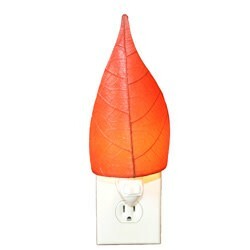 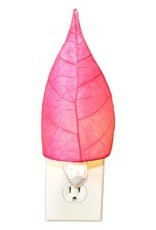 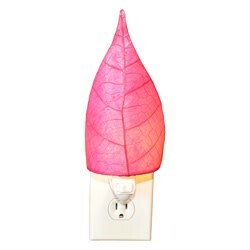 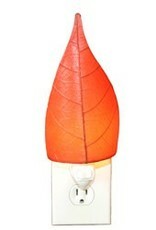 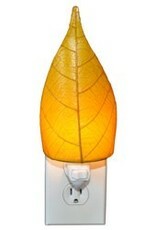 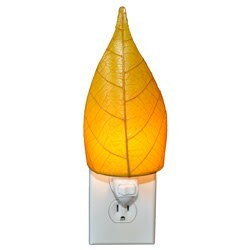 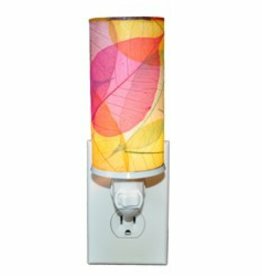 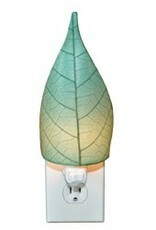 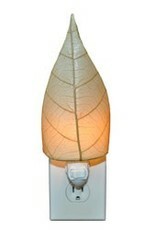 The Leaf Nightlight Series utilizes the natural shape of the cocoa leaf by using a single leaf as its shade. 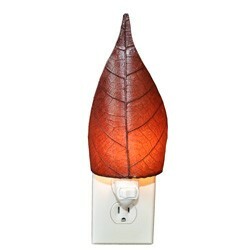 This nightlight brings an element of design while adding a hint of light wherever needed. 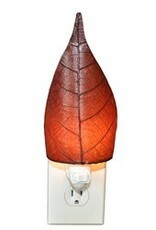 Features a single fossilized cocoa leaf that is handplaced onto a standard UL lampshade backing and then laminated. 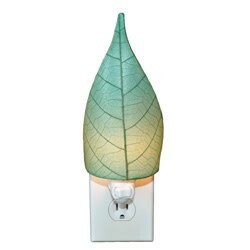 The base of the nightlight contains an on/off switch. 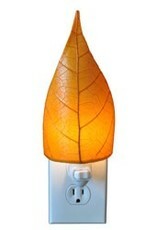 Number of Bulbs: 1 Maximum of 10 watts.